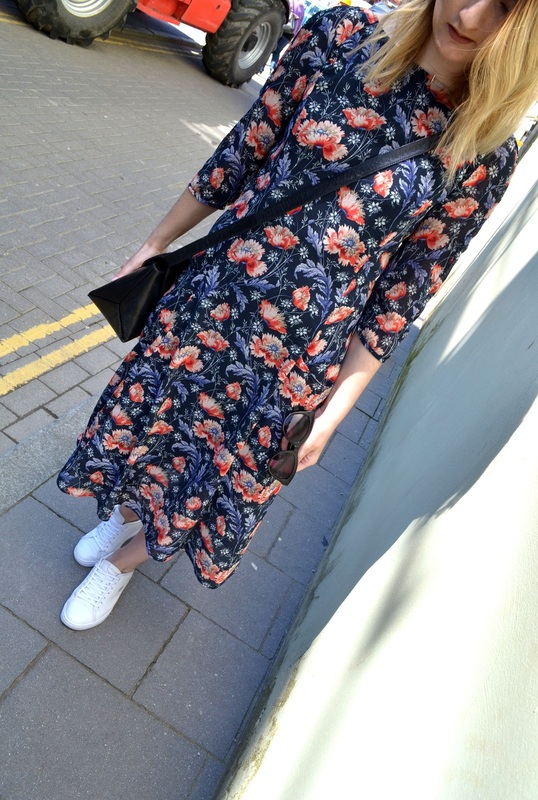 I restyled this floral zara dress into my spring wardrobe for a busy day of holiday preparation and last minute shopping. 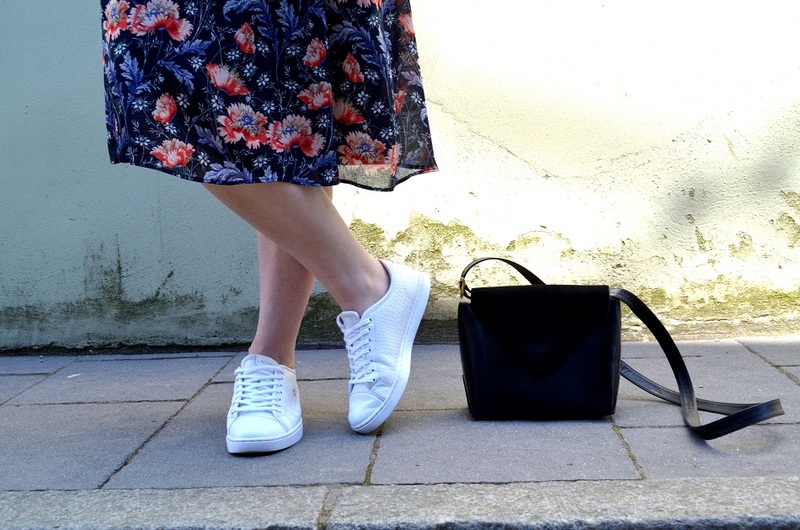 I previously styled it with tough boots and a leather biker jacket for winter, but admittedly, prefer this trainers and cross body bag combo. Understated cool wins every time.